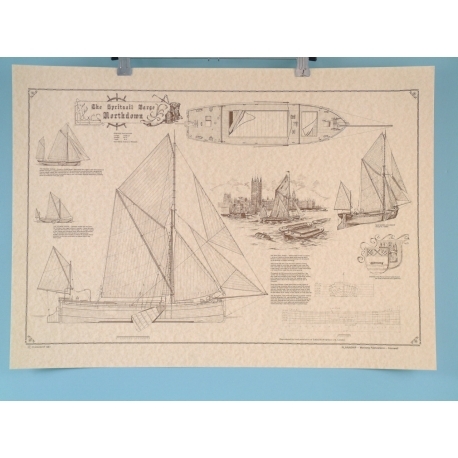 > Planaship & Posters>Planaship Posters>Spritsail Barge "Northdown"
Are you looking for a product to stock that is sure to sail away with your customers? 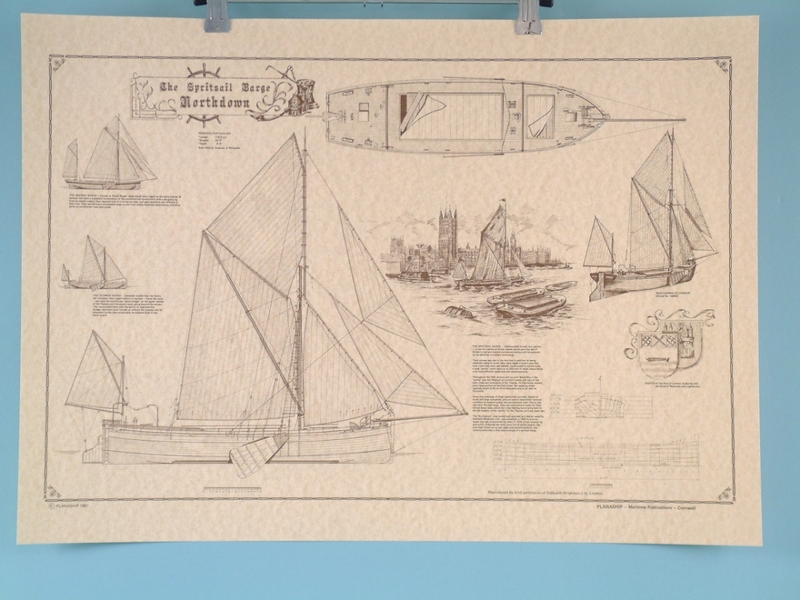 If you are, this Spritsail Barge “Northdown” is a fantastic choice for your shop. These barges were once a common sight on the River Thames in London, and they are an important piece of British history. This laminated poster, measuring 63cm x 45cm, features detailed drawings of the barge from multiple angles, giving insight into how it was built. It also features a sketch of these barges in action on the River Thames, transporting you back in time to the London of old.